Last night, I started to read The Glass of Fashion, a book by Cecil Beaton which was published in 1954. And the book conveyed me to a bygone time in which high fashion was art, not industry. The film, which Hubbie and I saw at the Barbican Cinema, was simply exquisite. It was beautifully shot, the storyline was original and the acting was superb. I loved everything, absolutely everything in it. And of course, Daniel Day-Lewis, he was divine. The fact that he has left his acting career behind after the film makes my heart bleed! Does it mean I will never see his inimitable smile, which is elegant yet impish, ever again? I am still heartbroken. Another thing I pined for throughout the film was how I desired to time-travel to the era in which the film was set. Even though my mum, who experienced the reality of the post-WWll, may not agree with me, I did find the time very desirable. The reason why I liked it so much was because everything appeared to be real and tactile. The life then was conducted more elaborately and properly. General things, even trivial things such as drinking tea or putting on clothing, appearred to be done with more care and joy. And respect and appreciation towards labour and service seemed to be more just and courteous. What is luxury? I wonder. Nowadays, we are surrounded by objects which claim themselves to be “deluxe”. From fast food to fast cars, the notion is widespread and abundant. Despite it, I just can’t help feeling that we are decidedly poorer. I ponder why. On Saturday, Hubbie and I watched a film, The Post at Barbican Centre. And the first thing I did as soon as I got home was to take out a subscription to The New York Times. Why do I pay for a paper, especially a foreign one? The film was about the Nixon Administration and the Vietnam War, but it also reminded me about the present Trump Administration. Nowadays, we are awash with information of all sorts from multiple sources and the majority of those materials are free. Most of us, including me, find them handy and feel benefitted by the “freebies”. However, is it really healthy to expect everything to be free? Especially news? The film has started me thinking. Is it because so-called news are broadcasted or fed through Twitter or Instagram immediately, they are more valuable? Is it because they are unchecked and raw, they are honest? The relationship between the media and its audience is changing. While the speed of the news reaching us is shortened dramatically, thanks to the internet, the quality of the news can not be acclaim the same because there is never enough time for the materials to be scrutinised deeply. Some bits and bobs floating in he media are light-weight and can be passed over our heads without too much fuss. But some issues are not to be dismissed or fobbed off too easily. That is why we do need investigative journalism. By subscribing to The New York Times, I am supporting freedom of speech and independent press. “The pen is mightier than the sword” is a famous saying by English author Edward Bulwer-Lytton, and I always support those warriors with pens who fight against tyrants! Yup, I saw the latest Star Wars, and I wasn’t very happy about it. 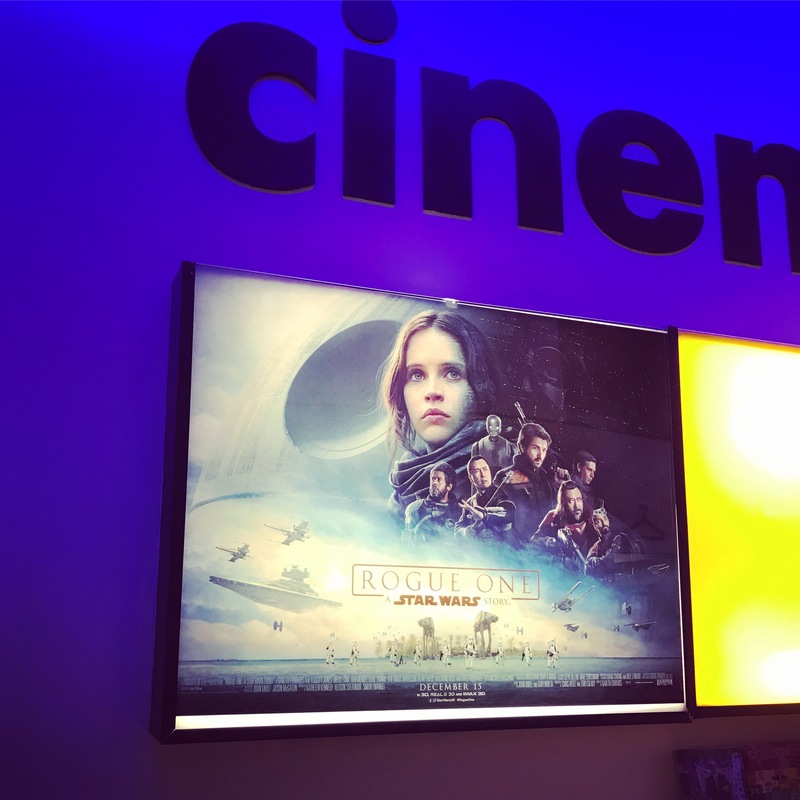 We went to Barbican Cinema on 29th, rubbing our hands with glee because we loved The Star Wars. However, we ended up leaving our seats, shaking our heads disapprovingly. No, no, no, don’t go there! I know some critics rave about the film, like it has stepped out towards a different direction, becoming more realistic and gritty, et cetera, et cetera. Yes, the film was gritty. It had chock-full of fight scenes, from fisticuffs to full-brown cosmic explosions, and they were pretty realistic. It was almost too graphic and depressingly realistic, I found though. Not that I am a squeamish sort – I am happy to watch any film (including violent ones) as long as it has a good plot. Therefore, I am not complaining about the level of violence in the latest Star Wars. I was annoyed because it had lost its innocence which was the hallmark of the original Star Wars films. Like the battle scenes from the film, Flash Gordon, the battle scenes of the original Star Wars were made to look “unrealistic”. It was not because of the lack of budget or special effect technologies but because it was the style of the Star Wars. It was “Fantasy before Sceience”. The Stormtroopers may be knocked off like a bowling pin by a Blaster bazooka by the Rebel and be killed, or vice versa. However, there supposed to be no blood, no guts and certainly no realistic death scene! These realities do not belong to the Star Wars, the epitome of futuristic fantasy. Do they want to remake the series as a futuristic version of Black Hawk Down or Band of Brothers?! You have Starship Troopers for that. Another thing which disappointed us was the finale of the film. So will we be still fiddling with a satellite dish in the future, huh? While the starships can move from A to B with time warp, will we be still not being able to invent anything better than a satellite dish to send / receive datas? How large it may be, the dish is still a dish. It’s laughable, we thought.